that brings delight to them. 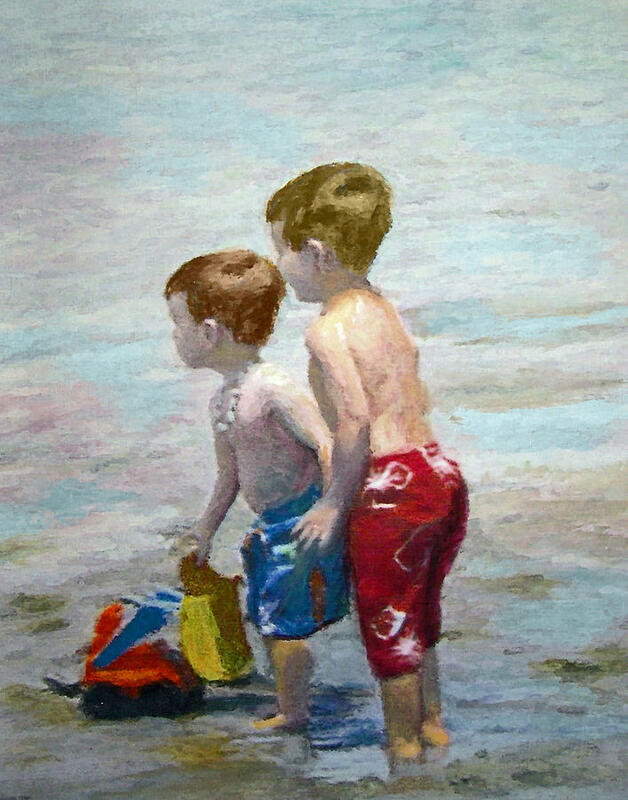 Reminded me of the joys of childhood on the beaches around our coast line. It sounds like you have wonderful memories, Ian, and I remember many fun times at the beach when our son and daughter were little…thanks for stopping by! The beach seems to always evoke a peaceful time, Thanks so much for your visit and comment! This is so beautiful!! I agree with you, Lauren. Thanks so much, Cha! I hope all is going well for you! Thanks so much, Stefan! I appreciate your kind words! Much love to you, too! Aww, a lovely poem, Lauren. Thanks, Miwako! I appreciate your lovely comment, too! Have a great week ahead! This is lovely, I grew up in So.California and the beach was just a part of my life–so much to discover. Have you read Mary Oliver’s poetry? She’s on the Atlantic and is a dog-love like we are. As for your little Copper (did I get the right dog? )–I’m so glad you haven’t given up on him. Have you tried those really tough Kong toys? My 93 year old Mom is still in Huntington Beach–I visit (from Reno) a lot and in the winter am in Palm Desert for 4 months. And those are exactly the beaches I went to! It’s a small world! My Mom passed away two years ago at the age of 90; Dad is living in Riverside county, age 94, still drives! 🙂 I’m planning a road trip to see him next month. It’s nice to meet others in blogland who grew up in similar areas…we currently live in the bay area, north of S.F. Collecting seashells is great fun for kids and adults alike. It’s like finding buried treasure. I agree, Binky, and I remember fun times of doing this when our kids were little..
Lauren, just adore both the words and the painting. Oh, the inspiration of the sea! I love this, Lauren – that’s where I wanna be today! Thanks, Betty, and me, too! It’s nice to see you! Makes the heart smile very happily Lauren! Thanks for sharing! I’m glad, Wendell! Thank you and I hope you have a great tomorrow and weekend ahead! Blessings to you! This is amazing, childhood, long gone away, but still wafting through in bits and pieces.